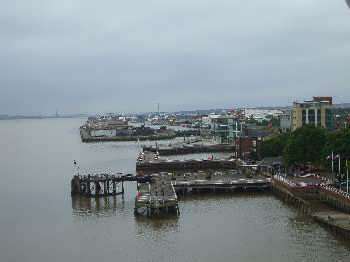 Kingston Upon Hull (or just "Hull" as it is more popularly known) is by far Yorkshire's largest port, situated on the north side of the River Humber but taking its name from the much smaller River Hull which flows through the city. Famous attractions and landmarks include "The Deep" (a large aquarium complex), and the Humber Bridge (which was at the time of its construction (in the 1970s) the world's longest single span suspension bridge). Hull was designated to be the UK's City of Culture in 2017, with a range of events taking place throughout the year. Nearby places to visit include Spurn Head at the end of the Humber Estuary and Beverley on the edge of the Yorkshire Wolds. In 2017 Hull was the designated UK "Capital of Culture" - with many arts and music events taking place in the city throughout the year. IMPORTANT: The above links may refer to external sites whose contents, products and services are not necessarily recommended or endorsed by Eagle Intermedia.